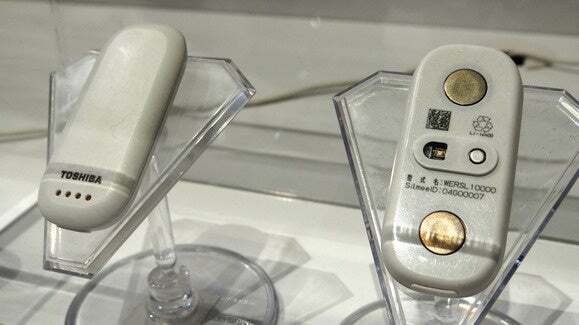 If you have problems sleeping, Toshiba has a wearable device that can help unlock the mysteries of your night. The device, called Silmee, is already on sale in Japan to health researchers and institutions, but it has yet to be approved by the U.S. Food and Drug Administration as a medical device. Toshiba said it is interested in putting the gadget on sale here but wouldn’t be drawn on when that might happen. The Silmee is 64mm long, 28mm wide and 9.6mm thick and is designed to be worn attached to the skin so it maintains contact while a patient moves or sleeps. It has four sensors on the back. 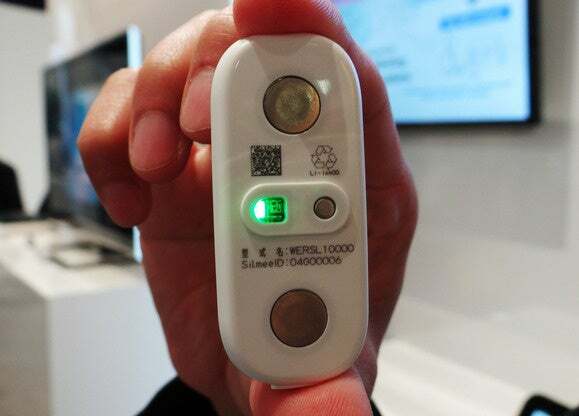 Two function as an ECG (electrocardiogram) to record the user’s heartbeat, another measures the skin temperature, and a third sensor shines a light into the skin to detect blood movement so it can record pulse rate. There’s also a motion sensor inside the device that measures movement in three dimensions. It communicates via Bluetooth with an Android app that records data from the device. The Silmee is already being used in Japan to measure how a person sleeps, said Alex Chung, who works at Toshiba’s wellness business division in Tokyo. By taking the data points it records and figuring out the patient’s posture and position from the motion sensor, it’s possible to determine whether a person is nervous or relaxed as they sleep, he said. The battery in the sensor lasts for 24 hours of continuous data transmission, and the device is also waterproof. Alongside the Silmee, the company is showing off a consumer activity monitor that’s also on sale in Japan. 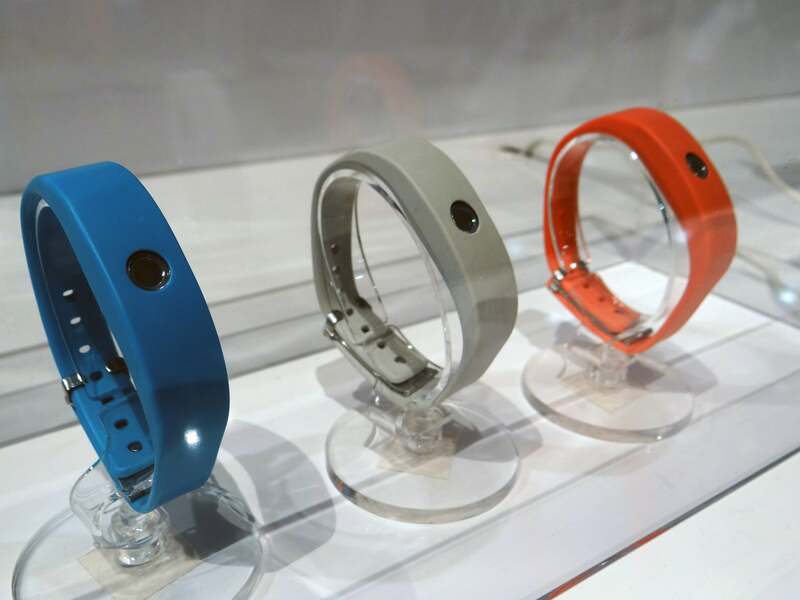 The monitor tracks steps walked, distance traveled, calories burned and the amount of sleep its user gets. It interacts with Android or iOS devices, and the battery lasts 14 days. An LED on the device changes color to indicate how close you get to daily activity goals.